The first week of our Douglas Performing Arts Summer Camp has just finished and we brought the curtain down with a fantastic acting, singing & dancing performance for all the parents. 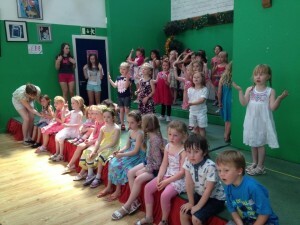 Activities this week included drama, dance, singing, art & crafts, games , bouncy castle & end of week performance. We have another camp running in Douglas next week followed by a camp in Blarney.